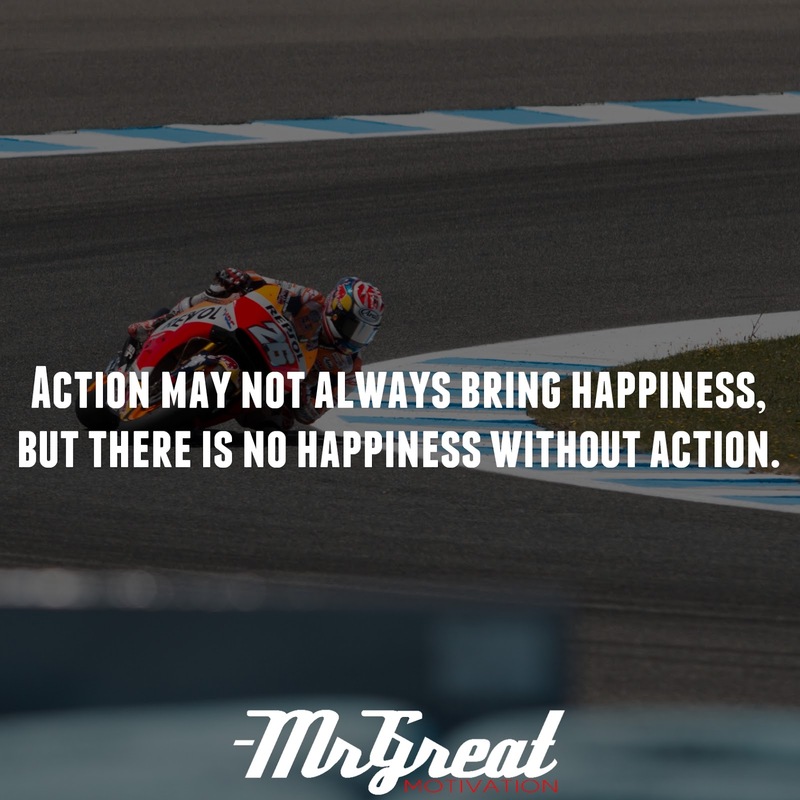 Home Motivational Quotes Action may not always bring happiness, but there is no happiness without action. The action is the key to change and the core of Life. The simple act of taking action so painful for so many people. We hear our elders saying, “Action speaks louder than words but not nearly as often.” or "Actions do much more than words”. If you follow advice blindly without action plan that type of working can actually make you procrastinate and burn your energy levels to zero in the long run if you don’t pay close attention to what you are doing. Maybe sometimes action and change often mean uncertainty. When faced with the bafflements, Try or Not Try, Do or don’t, many people will opt for the least risk. The risk of failure or the great shadowed unknown can be terrifying. Most people will choose unhappiness over contingency. If we need to make a change in this mind, the formula is simple: resolve to face your fear each day. Yes, it may not go as projected. But for us, the Fear of Failure is worse than the failure itself. Take action. Stay motivated. Succeed or collapse, you will have lived that experience, that nonrenewable minute. Words are important indeed, but don’t just show your thoughts through your words or actions! Let your unique works speak your thought and action. Do it now. Stay motivated.